Aminoacids are the basic structural elements of every living organism: animals, plants and human beings. 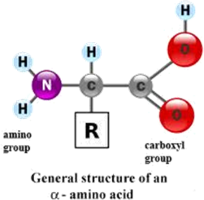 Aminoacids consist of an Amino group(NH2) a Carboxyl group(COOH) and an R-group, all connected to a central carbon unit. 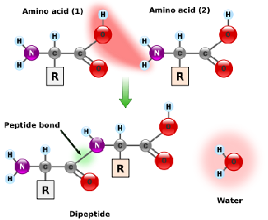 The structural difference which discriminates the aminoacids is the R group. 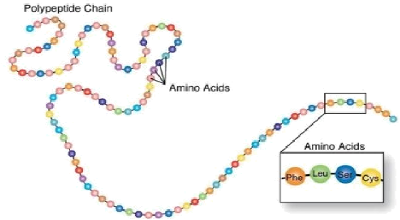 Using Peptidic bonds between Amino and Carboxyl group, Aminoacids are connected into long chains releasing molecules of water. Electric fields from the R-groups of the Aminoacid chain react giving the chain a 3D structure. Connection of multiple 3D chains create a new protein. 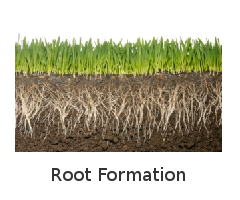 Aminoacids can be used to stimulate crops in the three basic stages of their growing circle and in shock prevention-treatment. Positive Effect on Photosynthesis: Help to increase chlorophyll concentration in the plant, leading to higher degree of photosynthesis. 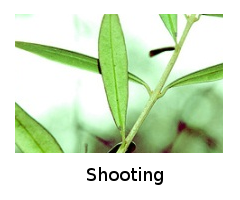 Increases Stress Resistance: Applications before, during and after the stress conditions (High temperature, Low humidity, Frost, Pest attack, Hailstorm, Floods etc,), supplies the plants with Amino Acids which are directly related to stress physiology and thus has a preventing and recovering effect. Chelating Effect: When applied together with micronutrients, the absorption and transportation of micronutrients inside the plant is easier. This effect is due to the chelating action and to the effect of cell membrane permeability. Aminoacids & Phytohormones: It is acting as precursor or activator of phytohormones and growth substances. 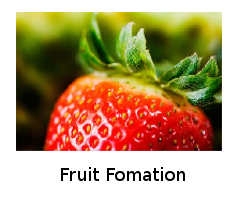 Pollination and Fruit Formation: Increases pollination and fruit setting. Very small size molecules: Due to the special way of manufacturing, the product is consisting of very small size molecules, increasing the absorption and accelerating the product’s operation by giving the plants the flexibility to form their own proteins.